NYC Immigration Lawyers, Naturalization, Green Cards, Deportation Defense, Brooklyn, New York - How Do I Apply for Resettlement in the United States as a Refugee? » How Do I Apply for Resettlement in the United States as a Refugee? What is the United States Refugee Program and Who Benefits? Every year millions of people around the world are displaced by war, famine, civil unrest, and political unrest. Others are forced to flee their countries in order escape the risk of death and torture at the hands of persecutors. In mid-1998, the United Nations High Commissioner for Refugees estimated the world's population of refugees and asylum seekers to be 13 million. The United States works with other governmental, international, and private organizations to provide food, health care, and shelter to millions of refugees throughout the world. Resettlement in third countries, including the United States, is considered for refugees in urgent need of protection, refugees for whom other durable solutions are not feasible, and refugees able to join close family members. In seeking durable solutions for refugees, the United States gives priority to the safe, voluntary return of refugees to their homelands. This policy, recognized in the Refugee Act of 1980, is also the preference of the United Nations High Commissioner for Refugees (UNHCR). If safe, voluntary repatriation is not feasible, other durable solutions are sought including resettlement in countries of asylum within the region and resettlement in third countries. In addition, the United States considers persons for admission into the United States as refugees of special humanitarian concern. People who meet the definition of a refugee and who are otherwise admissible to the United States may be resettled in the United States if they have not been firmly resettled in a third country. (Many grounds of inadmissibility may be waived for refugees.) Generally, refugees are people who are outside their homeland and have been persecuted in their homeland or have a well-founded fear of persecution there on account of race, religion, nationality, membership in a particular social group, or political opinion. Asylum and refugee statuses are closely related; however, they differ depending on where a person applies for the status. If an applicant is already in the United States, he or she may apply for asylum status. If a person is not in the United States, he or she may be eligible to apply for refugee status. In either case, all people who are granted either asylum or refugee status must meet the definition of a refugee . For an overview of the USCIS refugee program, please see the chapter and tables on Refugees in the Immigration Statistical Yearbook. Also see USCIS Fact Sheet: U.S. Asylum and Refugee Policy. 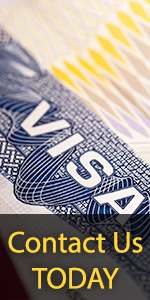 The legal foundation for this program comes from the Immigration and Nationality Act (INA). For the part of the law concerning the Refugee Program, please see INA § 207 (Refugees) and INA § 101(a)(42) (Definition of Refugee). Rules published in the Federal Register explain the eligibility requirements and procedures to be followed by applicants and the government. These rules are incorporated into the Code of Federal Regulations [CFR] at 8 CFR § 207. Please see eligibility information to find out who is eligible to be resettled in the United States as a refugee. If you believe that you are in need of protection, you may wish to make your concern known to the UNHCR or to an international non-profit voluntary agency. If either of these organizations is unavailable to you, you should contact the nearest U.S. embassy or consulate. Where appropriate, a representative from one of these organizations will discuss your situation with you to find out if you might be eligible to apply for resettlement in the United States. If so, you must then complete a packet of forms, and the USCIS will conduct a formal interview with you to determine if you qualify for refugee status. If the USCIS determines that you should be resettled in the United States as a refugee, the State Department, together with other organizations, will then complete your processing. There are no application fees. Please see the United Nations High Commissioner for Refugees Website for contact information, or you may call the High Commissioner's representative in the United States at (202) 296-5191. How Does My Spouse or Child Apply to Be Resettled in the United States as a Refugee? You may include your spouse or any unmarried children under the age of 21 as derivatives of your own refugee application. If you have already been granted refugee status and would like to get refugee status for your spouse and children, please see How Do I Apply for Derivative Refugee Status for my Spouse or Child? In order to retain your refugee status in the United States, you may not travel outside of the United States unless, before your travel, you first obtain permission to return. If you choose to travel, you should first apply for a Refugee Travel Document. This document will allow you to travel abroad and return to the United States. For more information, see How Do I Get a Travel Document?. Can I Become a Legal Permanent Resident of the United States? You will be able to apply for permanent resident status one year after you are admitted to the United States as a refugee. For more information, please see How Do I Become a Legal Permanent Resident while in the United States?. You are authorized to work incident to your status as a refugee. To receive Form I-766 (Employment Authorization Document) from the USCIS, you must apply on Form I-765 (Application for Employment Authorization). While you are waiting for your USCIS-issued Employment Authorization Document or a social security account number card (issued by the Social Security Administration), which can also be used to show your work authorization, you can present Form I-94 (Arrival-Departure Record) to your employer. When you are admitted to the United States, the U.S. Citizenship and Immigration Services will issue you the departure portion of Form I-94 that contains a refugee admission stamp. This unexpired refugee admission stamp will show your employer that you are authorized to work. However, within 90 days of your hire you will have to present to your employer either an unexpired Form I-766, or an unrestricted social security account number card together with an identity document that is listed on the back of the Employment Eligibility Verification Form (Form I-9) to continue your employment. For more information, please see How Do I Get a Work Permit?. Please contact the United Nations High Commissioner for Refugees or the voluntary international agency that is helping you with your case.